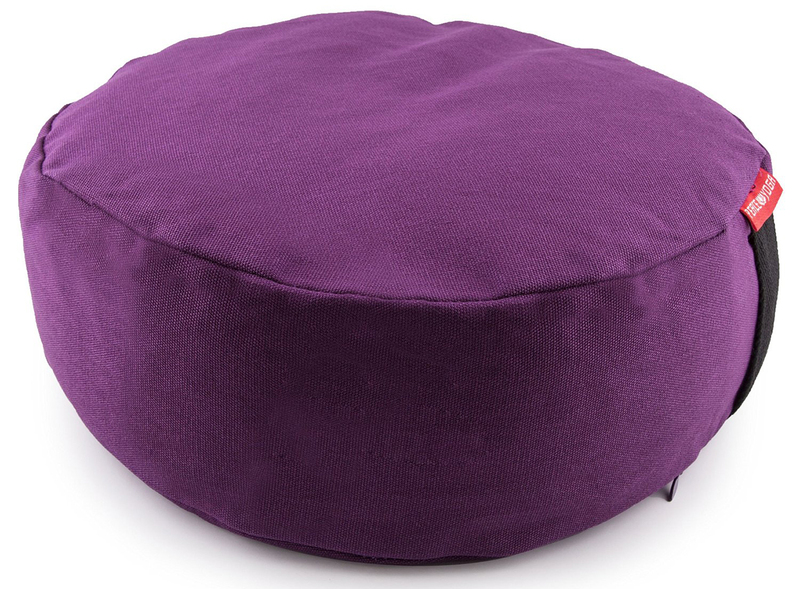 When Buddha was asked what he gained from meditation, he said he had gained nothing at all. Instead, he went on to mention what he had lost; anger, anxiety, depression, insecurity and the fear of old age and death. 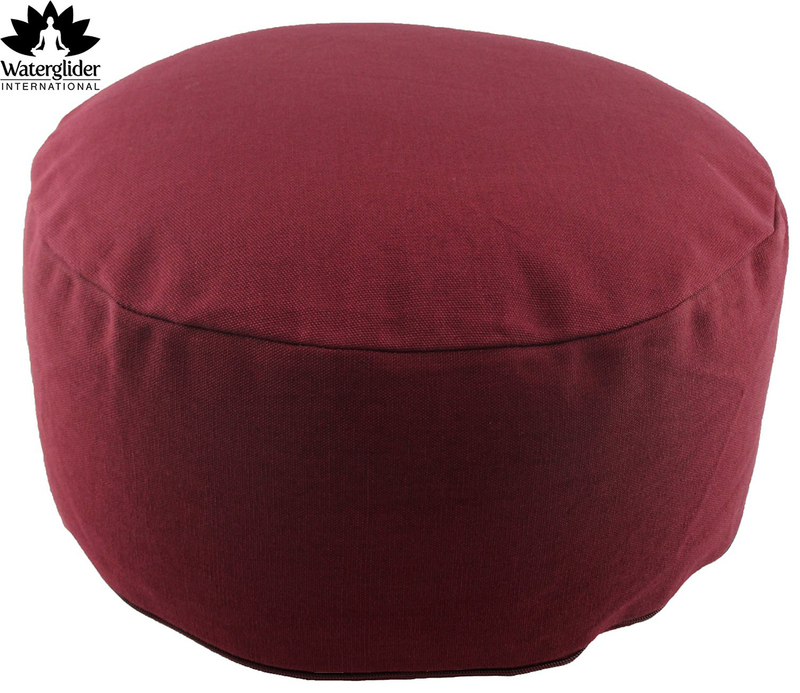 Meditation has been practiced for centuries and recently, more and more people are picking it up. It has immense benefits on your physical and mental health. It is simply a way to enable you to step out of the chaos of everyday life and calm your mind down. 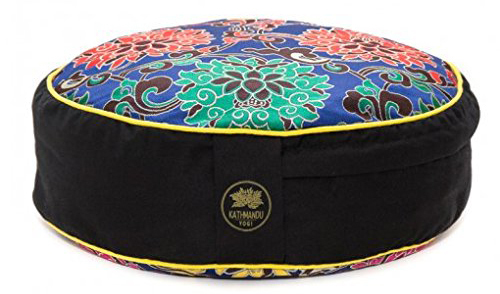 For hundreds of years, meditation was practiced without any equipment. It simply involved your mind, body and spirit. 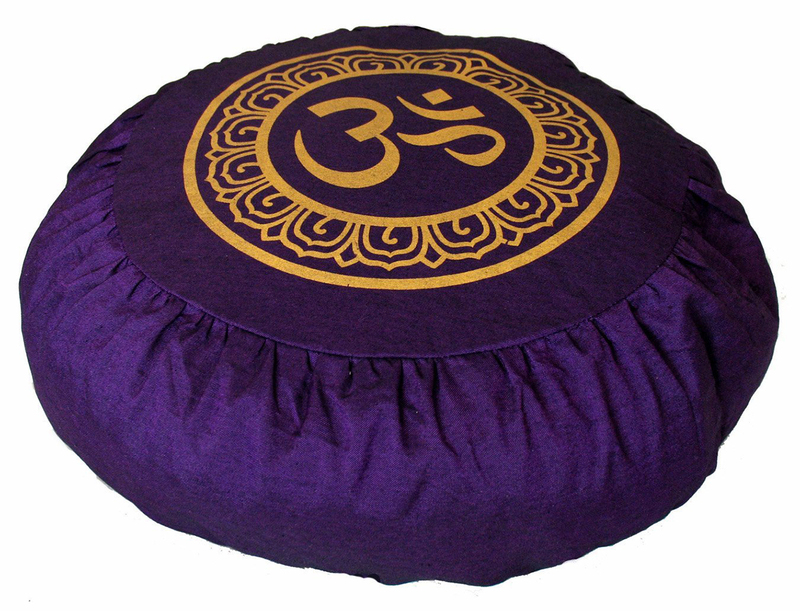 However, yoga mats, meditation pillows and meditation cushions have been incorporated in the modern approach to meditation. 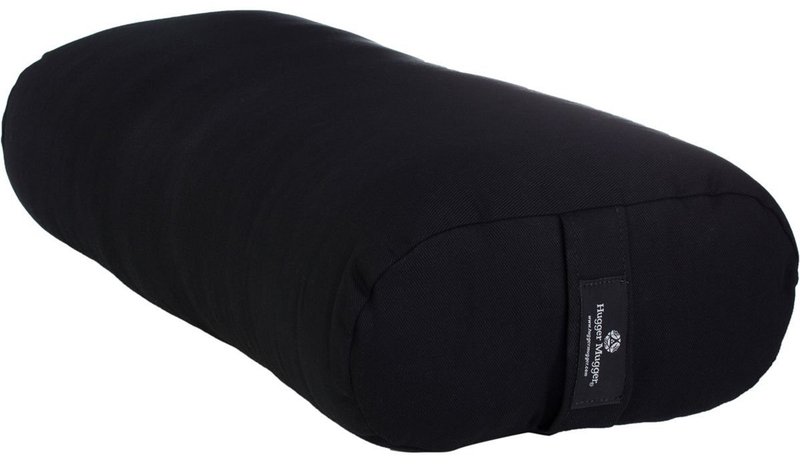 To enable you to hold yourself in the most comfortable position possible all while providing your joints with the support they need requires choosing of the most appropriate meditation pillow. They come in a range of sizes, colors and heights. They should be able to match your preferred meditation style, lifestyle, body, flexibility and even the energy you’re trying to cultivate. Blue to help you relax. 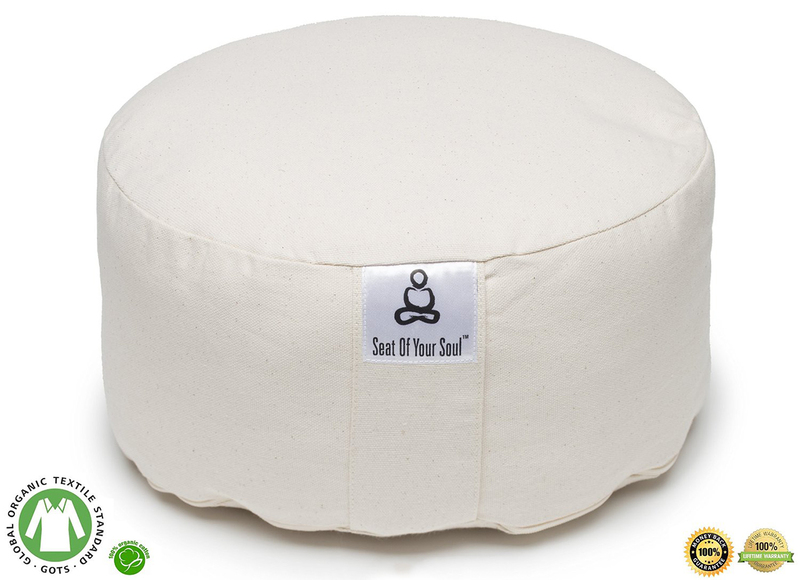 Below are a few examples of meditation pillows that you can think of when adding a meditation room as part of your home décor. 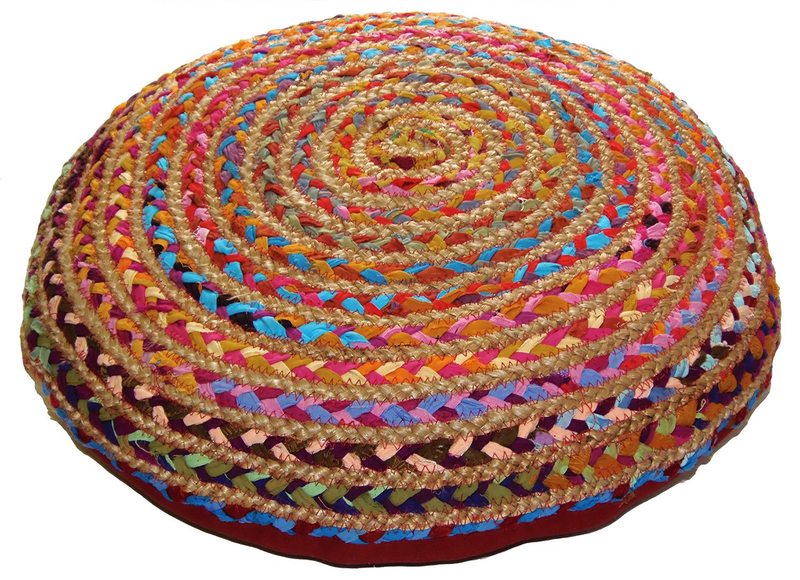 This traditional style cushion is filled with hypo-allergenic buckwheat hulls and recycling Styrofoam. 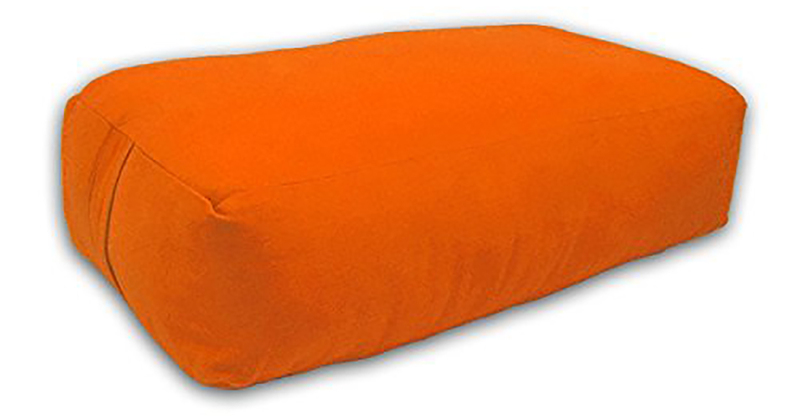 The Styrofoam promotes circulation of air to guarantee comfort. 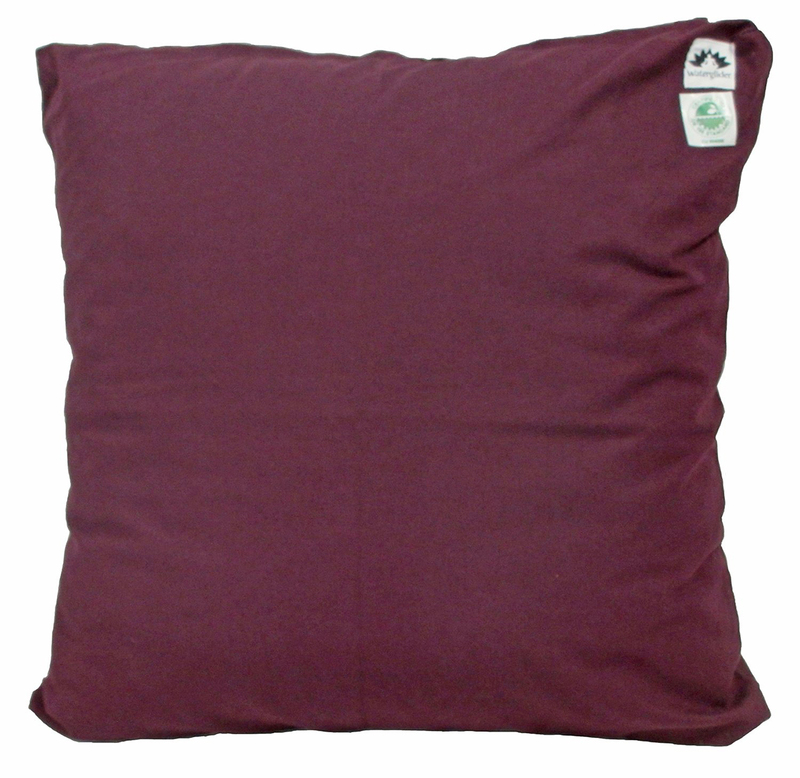 The cushion molds the shape of your body but remains resilient and doesn’t lose shape after prolonged use. 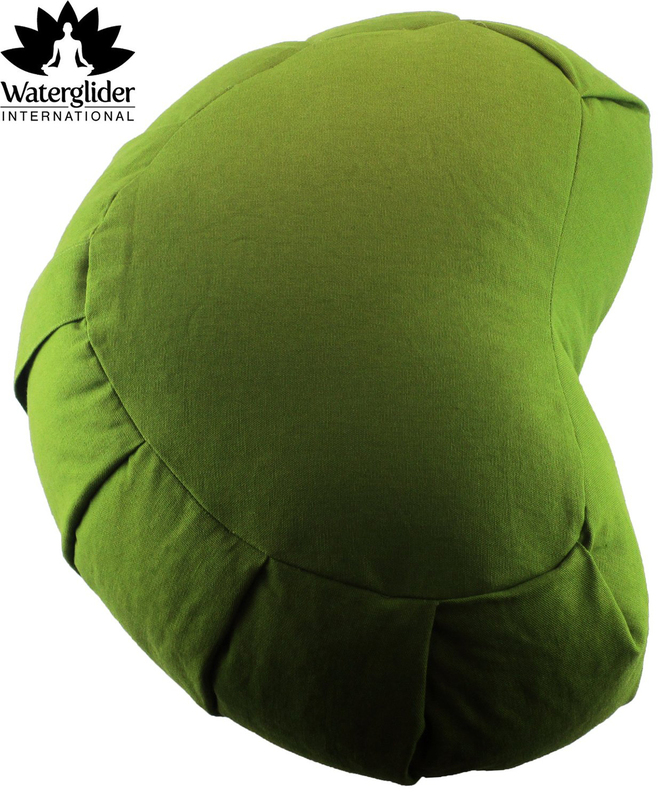 The hidden zipper enables you to add or remove stuffing as you desire. 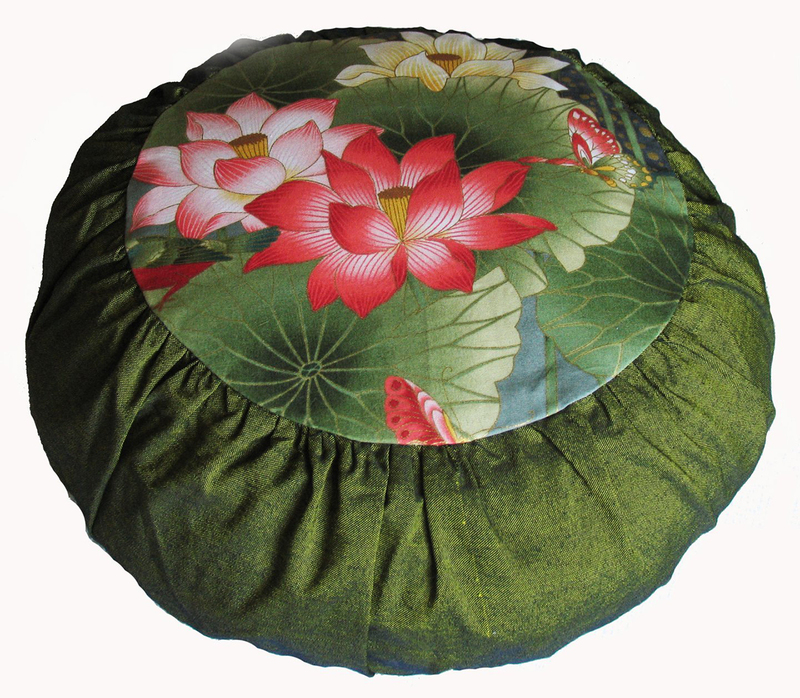 It utilizes AXIS innovative technology to ensure balance is reached for different positions such as lotus, half-lotus and Burmese. 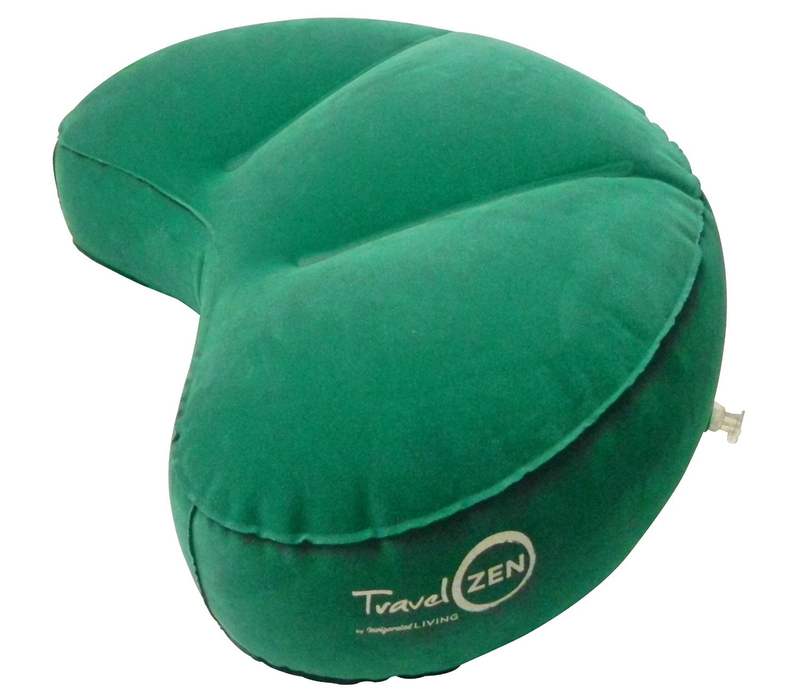 You can therefore use it for yoga, Pilates and Zen practice. 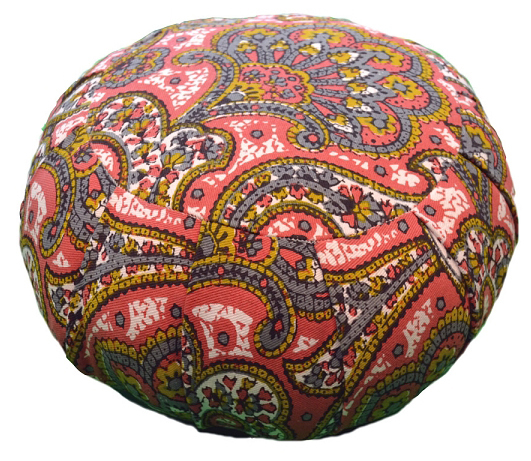 Placing this cushion on any chair converts it into a tilt seat for autonomous sitting. 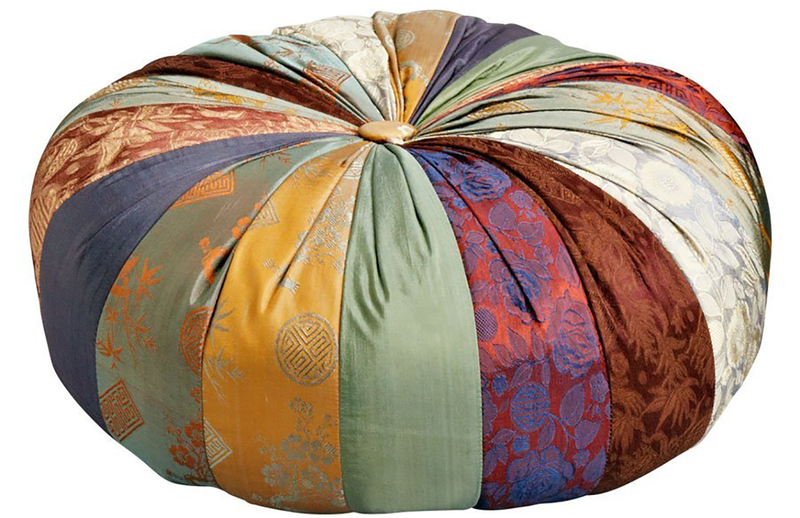 The unique ancient East Asian designs on both sides makes it possible to add this cushion as part of the main home design. 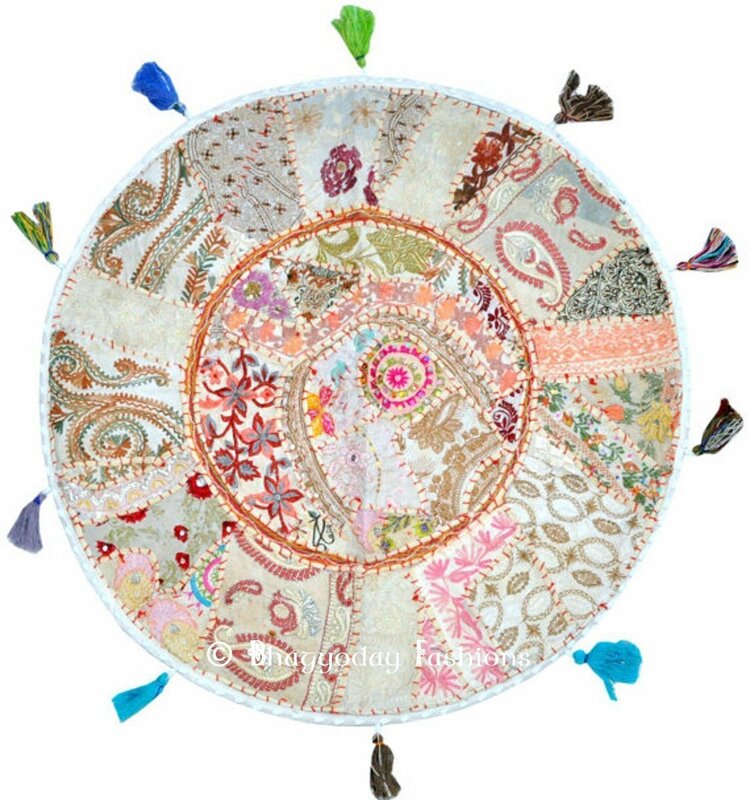 The mix and match prints on this cushion are inspired by Indian traditional textiles and spiritual practices and are simply beautiful. 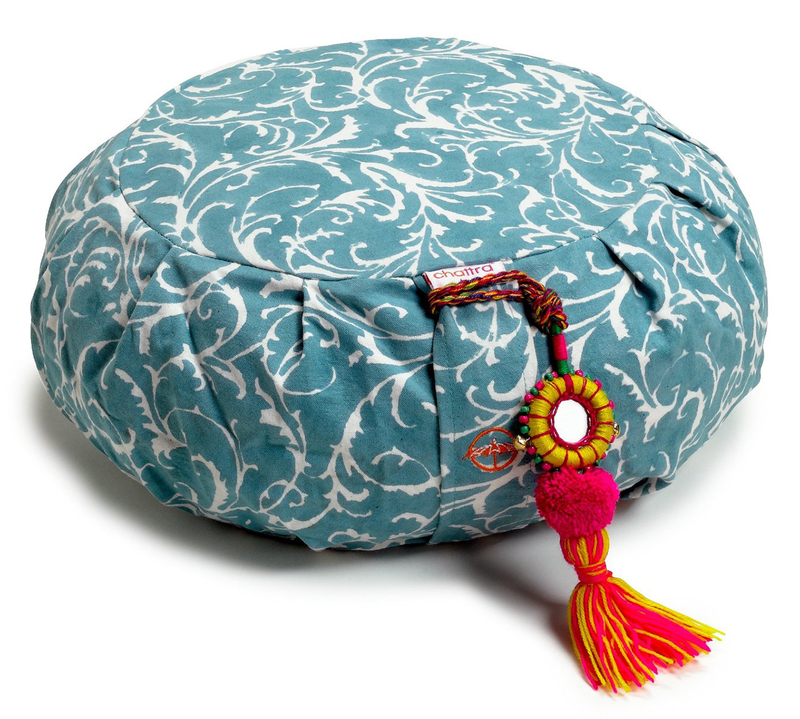 The cushion is finished in a warm shade of tranquil blue and with a festive Rajashtani tassel. 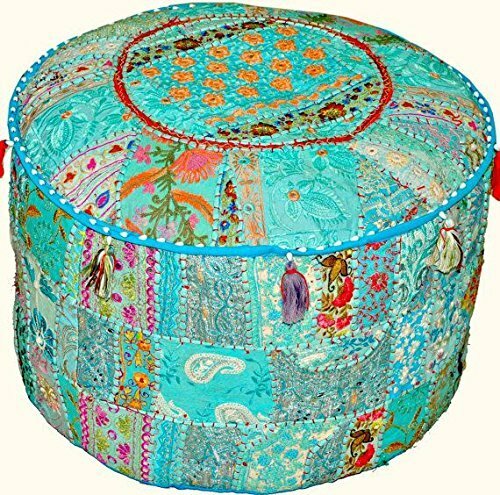 They are crafted in India using traditional techniques with 100% cotton for the cover and liner and USA buckwheat filling. 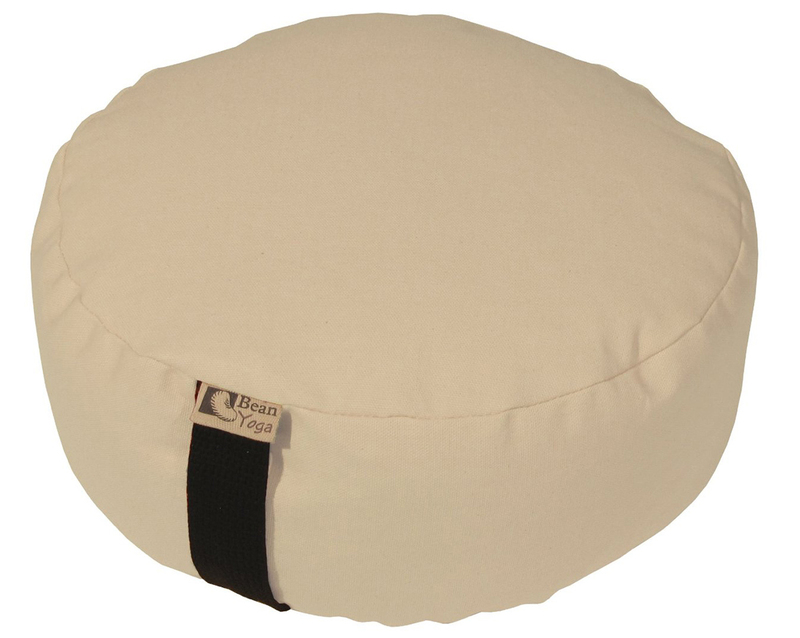 The buckwheat filling provides support for the spine and assists in aligning it too during meditation. 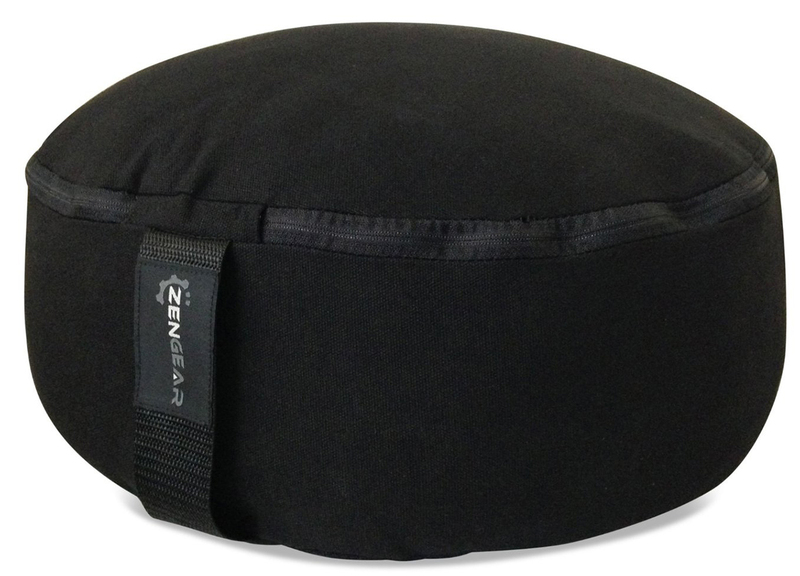 It has a zipper to allow you to adjust the filling to your liking. 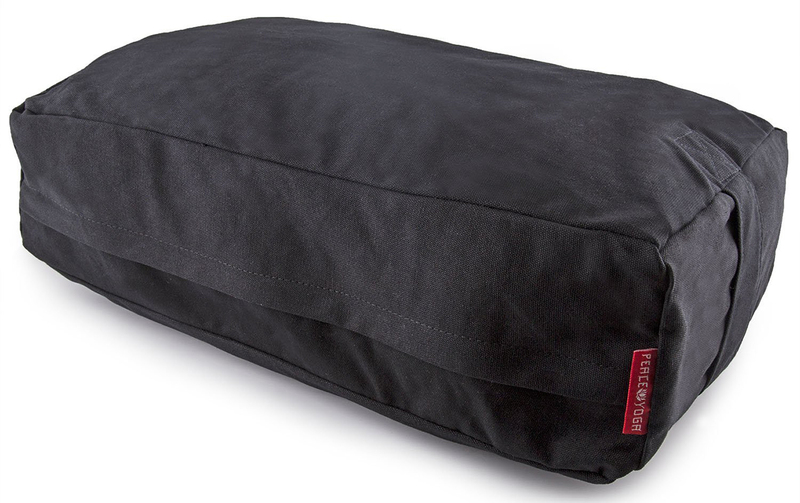 A carry handle is also integrated to ease transportation. 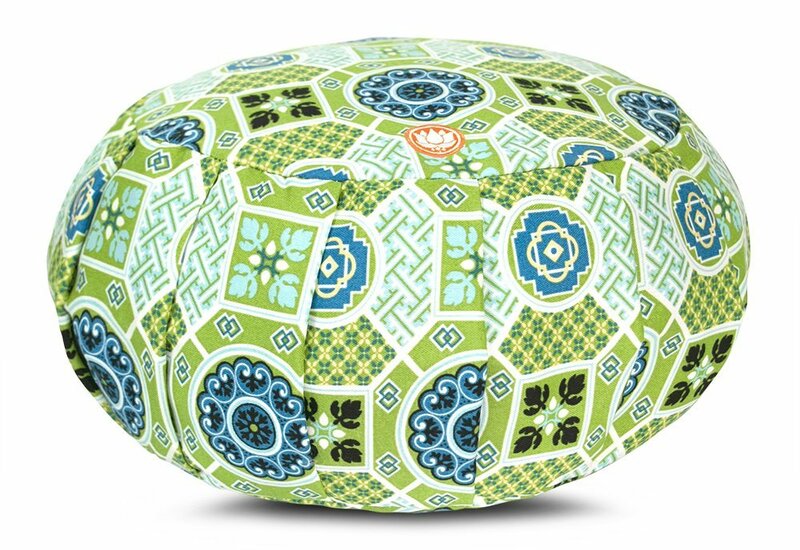 This cushion would also be a lovely addition to the home decor. 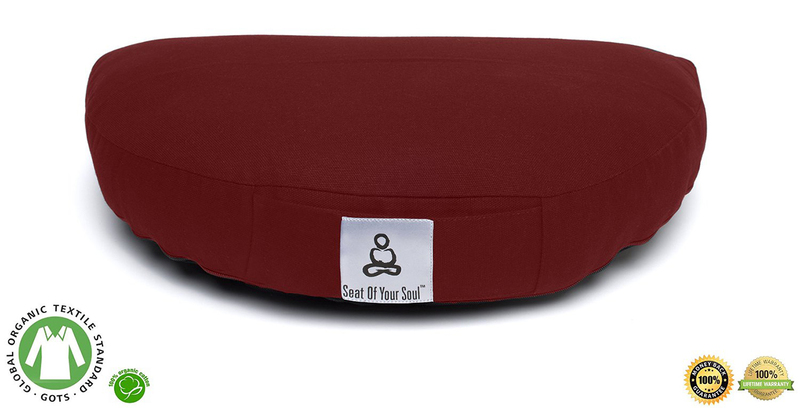 You should remember, meditation not only involves the effort of the mind but of the body too. The body is required to remain in one position for longer than it is used to. 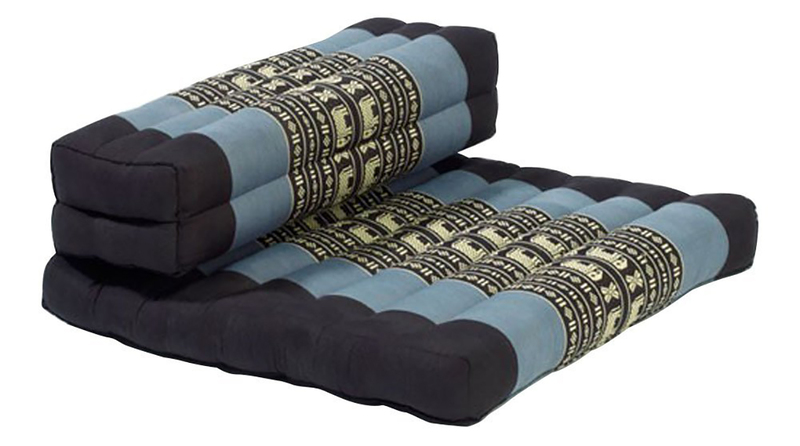 Incorporating these pillows or cushions is necessary; whether practicing alone or in a group setting. 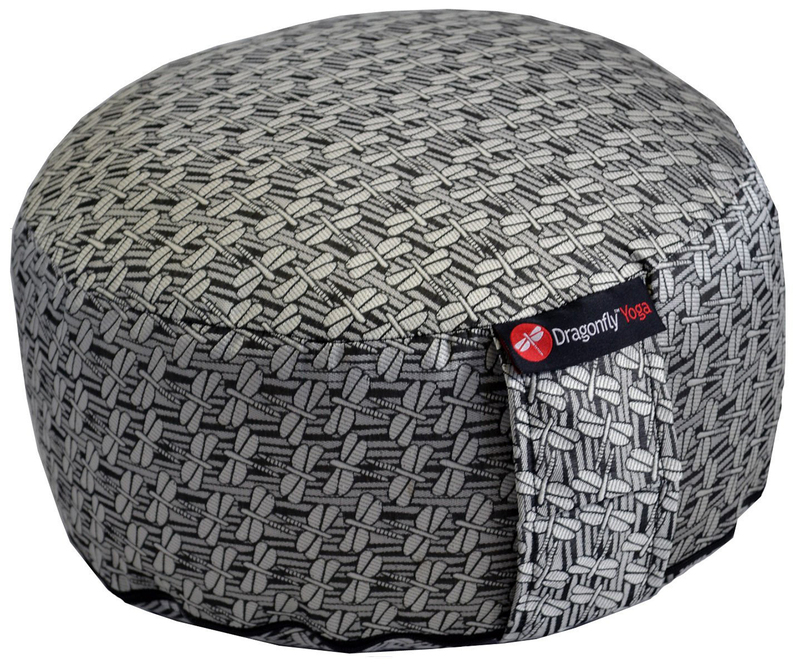 They enable you to focus the mind without distractions caused by physical discomfort caused during or after meditation. 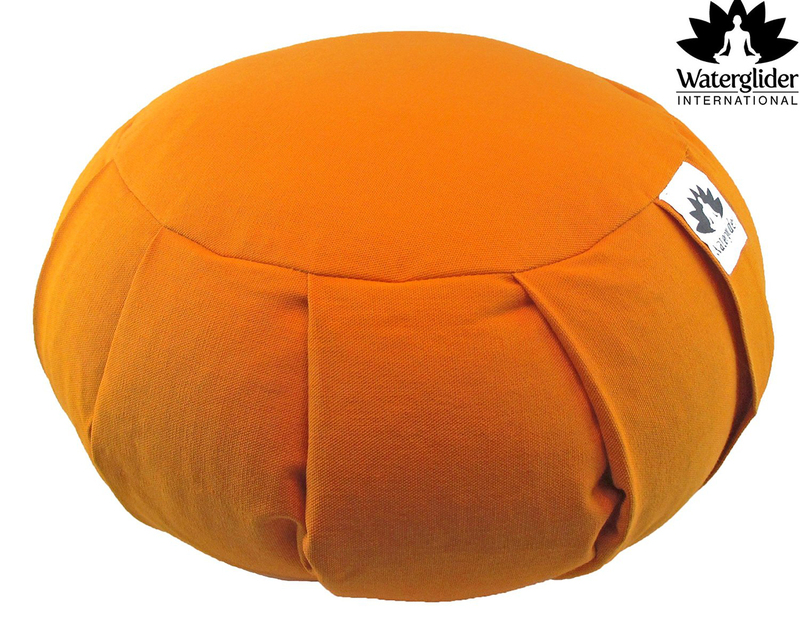 We see that they come in a number of shapes, sizes and styles. 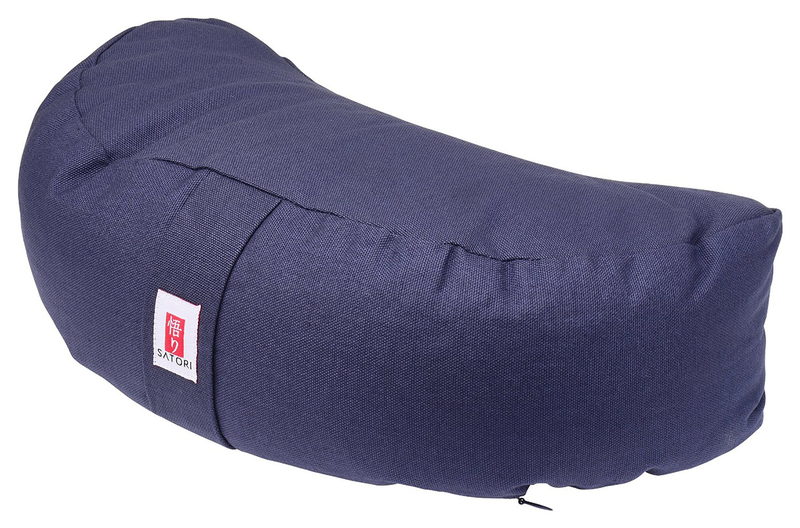 These meditation pillows are the key to a more rewarding meditation experience. 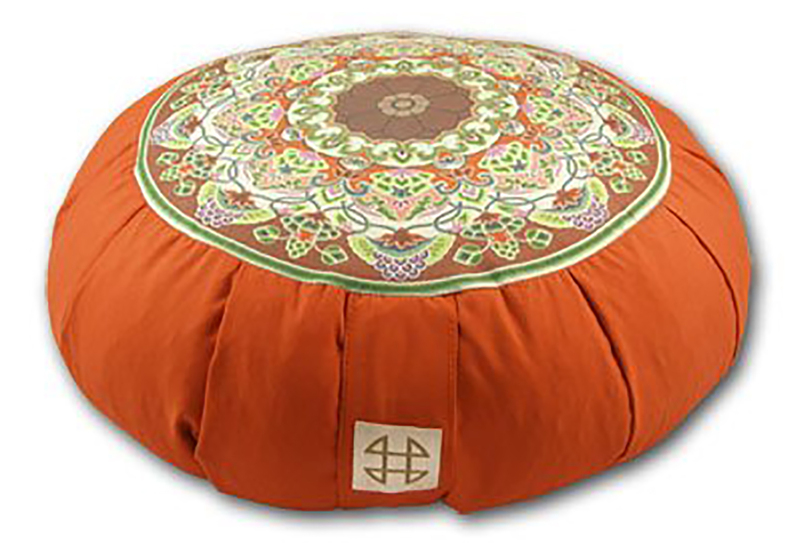 Choosing the right one can be the difference between sitting numbly and in discomfort or meditating in peace. It could affect how you move along the steps to spiritual growth or self-discovery. 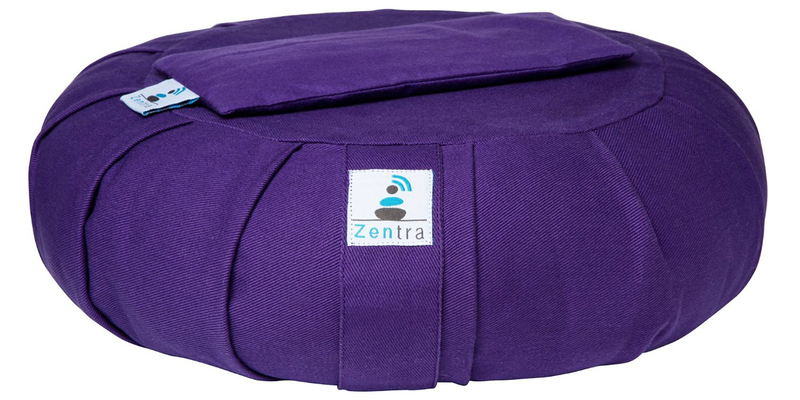 All these items are made to help you maintain the right posture during meditation and relieve stress from other areas of your body. 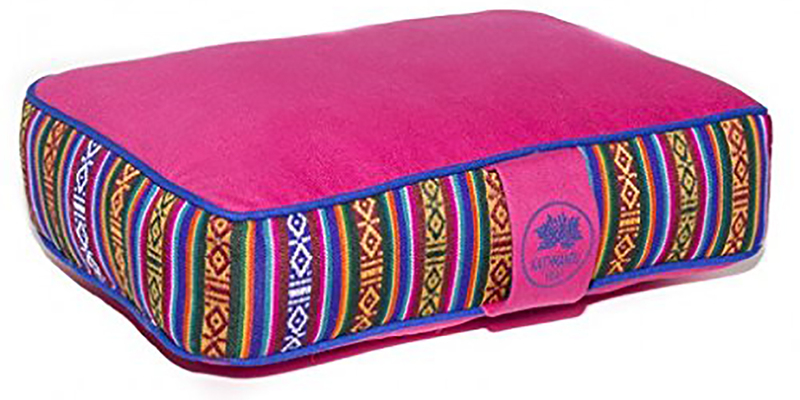 From this list, you can now select a meditation pillow that suits your preferred design, shape, material type, size, type of filling, meditation and yoga needs and even color. However,remember to select one that is best situated for the type of ground you constantly practice on. That is, thicker ones if you practice on hard floors and thinner ones for soft grounds.